Holographic Strips designed by us are used to secure the products from duplication and make a distinct identity in crowded retail spaces. This strip is extensively used in continuous fixation and is offered in different patterns and designs. These strips are in a constant strip or roll from which broadly used in diverse industries to affix hologram constantly by using automatic applicator machine. Providing utmost protection to packaging cartoons, boxes and envelopes, these strips when detached from surface leaves behind a pattern. Holographic Strip (On line) is supplied with heat activated adhesives in roll form of 100meters length. Protected by advanced security features, these strips are used in tamper proof packing of pharmaceutical products. These strips are perfect to be used in high speed & high volume production line for materials like PVC, Paper, aluminum, HDPE, LDPE & PET. 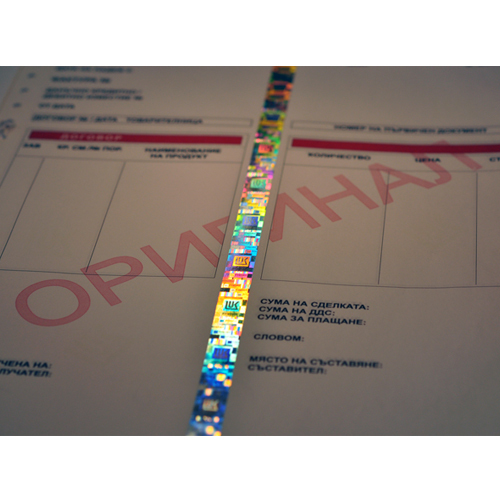 Holographic Offline Strips are best for applying on packing materials like PVC, BOPP, Aluminum, LDPE, HDPE and PET. 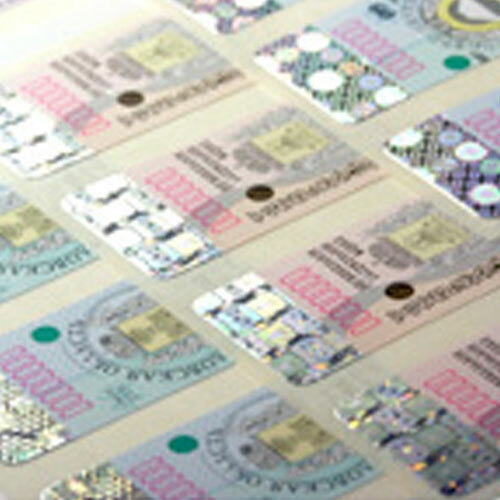 With a scratch proof image, these offline strips are added with multiple security features for tamper proof packaging. Supplied after complete authentication, the offline holographic strips are offered in roll forms.